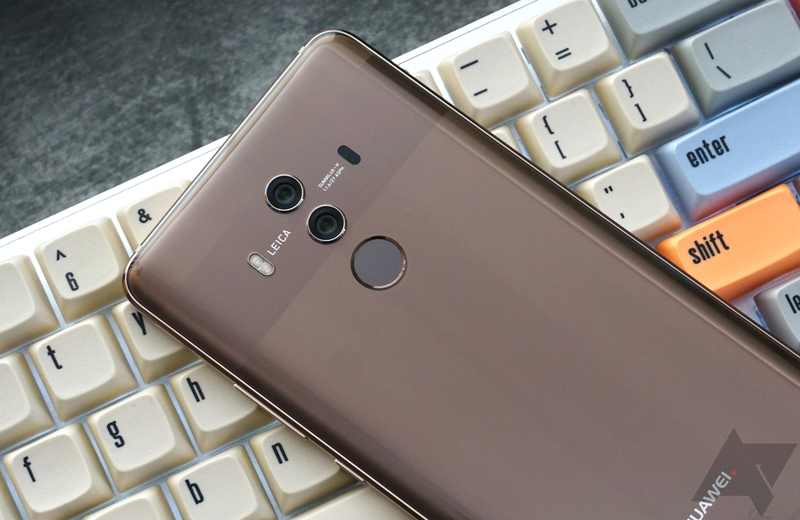 Huawei has announced that it will sell the Mate 10 Pro smartphone unlocked in the US for $799 in partnership with a number of online retailers starting next month. Best Buy, Amazon, Microsoft, Newegg, and B&H will also all offer $150 gift cards if you pre-order the phone. Pre-orders of the Mate 10 Pro, which we like overall, will begin on February 4th and run through the 17th. On February 18th, the retail launch will officially get underway. Oddly missing from today's announcement is any mention of a carrier version of the phone, which many in the industry had expected would be unveiled alongside the unlocked version today. But it wasn't, and we may know why: AT&T has supposedly backed out of a deal to sell Huawei's phones in the US, and the reason seems political. This leaves the Mate 10 Pro in exactly the terrible position of many of its predecessors in the US, except kind of worse, because it is by far the most expensive phone Huawei was ever tried to sell here. The number of unlocked phones over $600 sold at full price in the United States is essentially negligible. Almost all premium phones in this country are bought on payment plans through carriers or credit providers, and the idea that any company could launch a "competitive" high-end smartphone in America expecting customers to pay what, with sales tax, will end up being the better part of a thousand dollars up front is borderline actually-stupid. Further indicating just how badly Huawei apparently screwed this up (or, increasingly apparently, was screwed), it also announced that the Mate 10 Pro Porsche Design would be coming to America for the low, low price of $1225. You read that right. The Porsche Design version of the phone features 256GB of storage and 6GB of RAM, but apart from that, you're paying an over-$400 premium to show off a branding partnership. In a prebriefing we attended yesterday detailing this news, Huawei seemed as unable as ever to answer basic questions about its handset strategy in America. No satisfying reasons were given as to why the company is unable to find carrier distribution partners, why it continues to only support GSM networks, or how it expects to sell an $800 smartphone to its alleged core audience of "Gen Z" customers, who are at most 22 years old. Huawei told us over and over how important this market demographic was to the company's growth, but how many 22-year-olds are out there dropping nearly a grand all at once on a smartphone, Huawei? Come on. In fact, the announcement that the Honor View10 is coming to America seems to shoot Huawei's Mate 10 Pro right in the foot. The View10 offers similar performance and specifications, but it's almost certainly going to cost less than $500 - undercutting the Mate by several hundred dollars. While the Mate certainly will have a superior camera experience, unlocked phone buyers in the US tend to be more focused on value, and the Mate 10 Pro is hardly what you'd call a steal. How can Huawei possibly expect the Mate 10 to have any kind of success when the company's own sister brand is essentially saying, "Hey look over here, you can get 90% of the phone for 60% of the cost!" But the Mate 10 Pro does have one ace up its sleeve: Gal Gadot is the phone's official spokesperson. That's clearly going to move some units. She was also named Chief Experience Officer of Huawei, almost certainly a figurehead role that will have Gadot appearing at various Huawei events and photo opp- er, uh, very important strategic summits to guide the direction of future Huawei products. Maybe 2019 will finally be the year of Huawei in the US?